Maybe it is not so much fun for someone that lives in Morristown or its immediate surroundings, but getting there is half the enjoyment. At the end of the hour-long "journey" on NJ Transit, one finds a small storefront with an unimposing sign declaring simply "Empanadas." I'm sold. 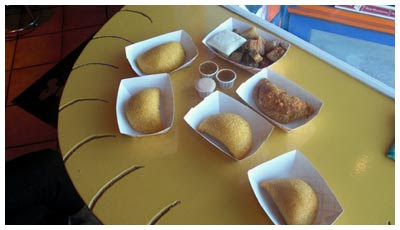 Walking inside, you must pass all the empanada-shaped tables to approach the back counter, and kitchen behind. A large menu displays the over 70 varieties that are on offer, some common, some very offbeat. We tried to order a sampling of both, sticking mainly to well-known staples, but veering also for choices like the "buffalo wing" empanada, something I am guessing you won't find in Colombia. During empanada happy hour (M-F 3-5pm), a good selection of choices are only $2 (usually a savings of 50 cents to a dollar). 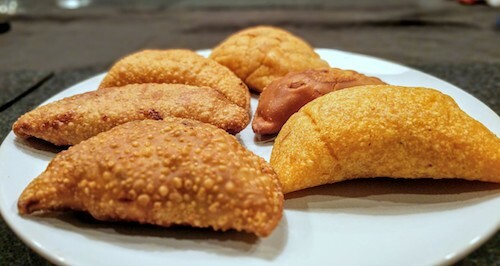 Our selection of five included the guava & cheese dessert empanada ($2.50 all times) an unfortunate ending to an otherwise tasty group. The cheese was hard and salty, not the gooey sweet mixture I am used to from one of my favorite desserts. 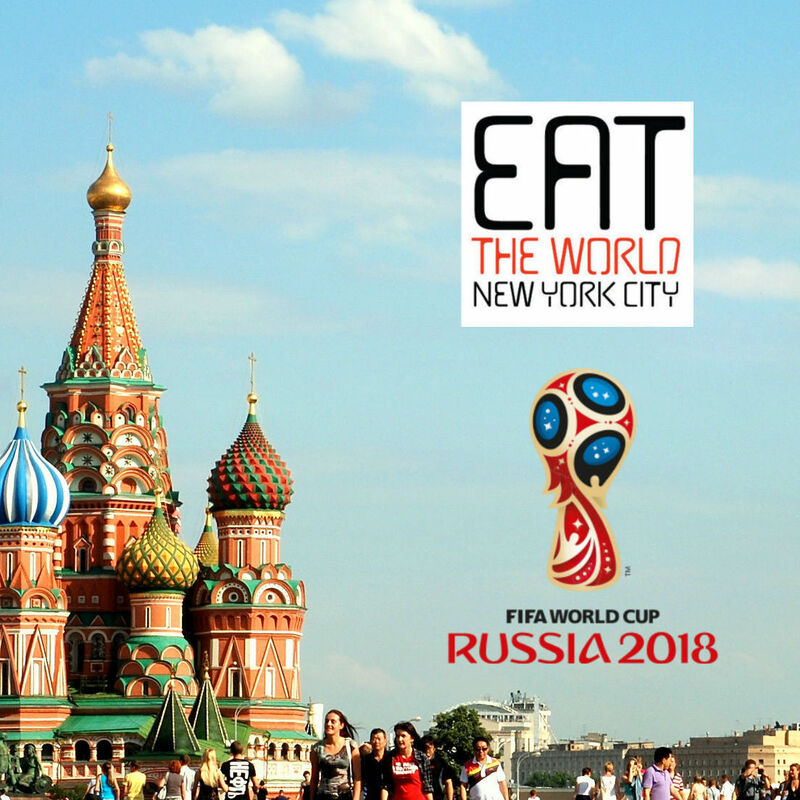 Our five empanadas and side of chicharrón ($3, above-top) was more than enough to feed the both of us, and seated in one of two window seats, we felt like the royalty of Morristown, looking out at our loyal subjects going about their daily lives.